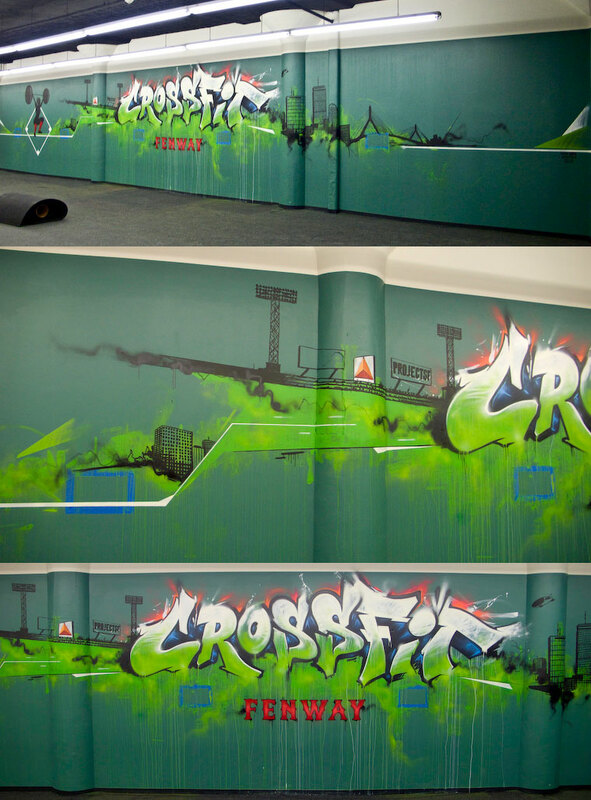 I recently painted CrossFit in the Fenway/Kenmore Sq. area with friend and artist Dana Woulfe. We had a blast, and we're both psyched to be able to paint their new spot. Project SF just recently painted live at Northeastern University for their annual Spring Fest. This is the 6th year that Project SF was asked to participate. This is always a fun project and a great time working with the crew. 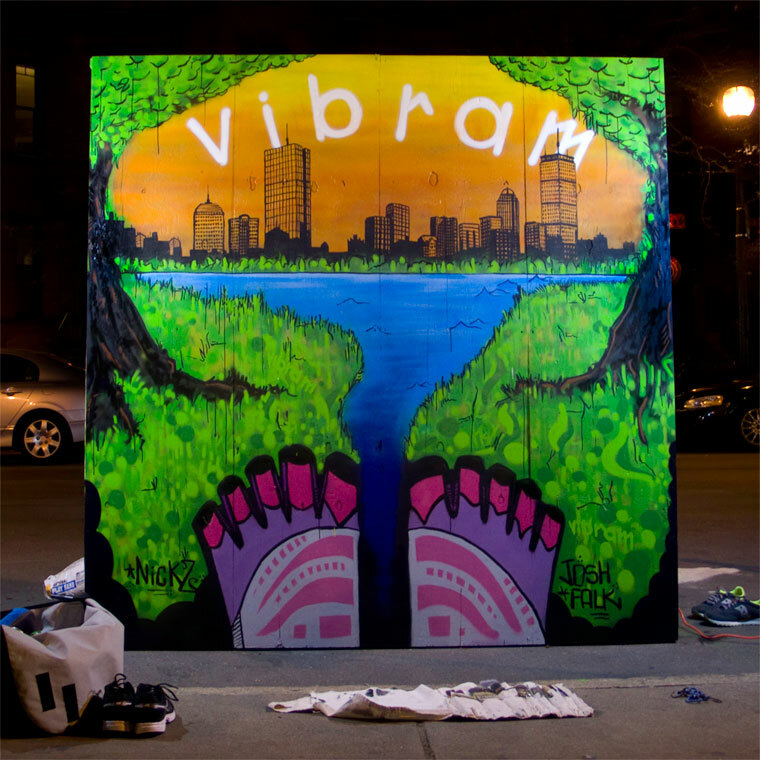 Lastly, Nick Z and I painted for the great folks on Newbury Street in part with the grand opening of the Vibram's first US store. More photos and video to come...thanks to MrNvr.